Welcome to the first in a series of articles celebrating apps which are an example to others on how things should be done. I’m probably preaching to the converted, but I wanted to talk about the BBC iPlayer Radio app. It’s available for iPhone,, Android and Kindle. 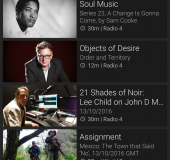 For TV content there’s also the BBC iPlayer app, but I’ve found myself using the Radio app more and more recently. Time shifting your media consumption has become extremely popular, however actually being able to find and enjoy it can be a bit tricky. Personally I believe this is part of the reason why people are choosing “less legal” ways to consume their television, movie and video content. If, for example, I wanted to watch a TV show from from Channel 4 I would have to download the 4OD app. Likewise, if it was Channel 5, I’d have to get the My5 app and so on. Ideally I’d like one central location for everything, but that doesn’t look to be arriving anytime soon unless you start using a Slingbox to remotely access the TV and PVR at home on your mobile. For live radio and on-demand audio content I really must applaud the BBC iPlayer Radio app. There’s a number of things I enjoy about it. First is the fact that it is so unbelievably easy to use. 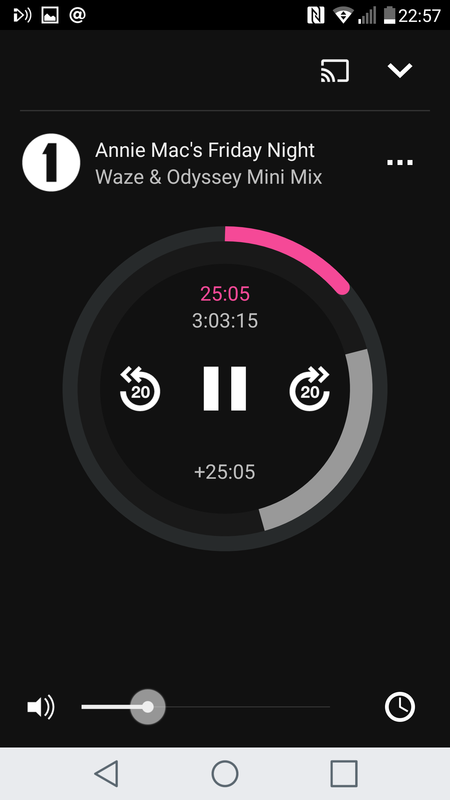 The jog wheel interface is an absolute dream and it is so simple to understand. I want to find the person responsible for designing this and give him or her a pat on the back, I really do. 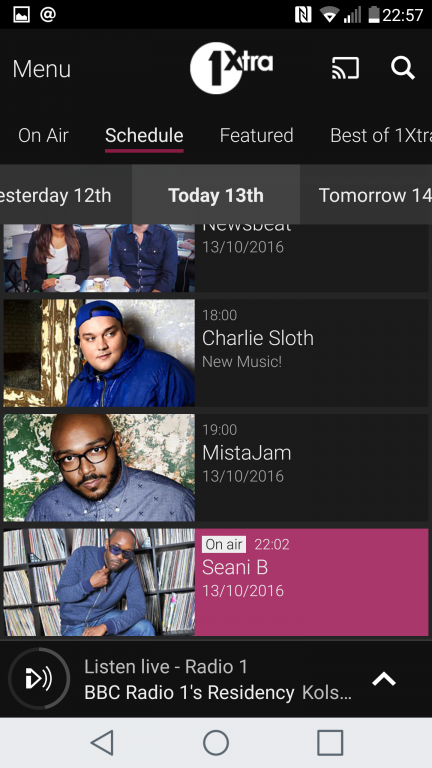 The search system groups together shows in a series link so you can just go into that grouping and find the last set of radio shows by that presenter or by the show name. As much as people criticise the BBC, when you consider what you get for your yearly BBC licence fee, it’s very good value for money. There is a dizzying array of content on AM, FM, digital radio plus terrestrial television, satellite television and online. 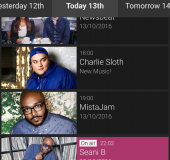 The app now stores 30 days worth of shows so you can go back to shows that were broadcast four weeks ago in some cases. This is really great if you suddently find a show you enjoy – just instantly download the previous shows with the press of a button. I have got myself a Bluetooth FM transmitter and tend to download shows when I’m at home on Wi-Fi and then play them back through little FM transmitter in my car no matter what time of the day it is. 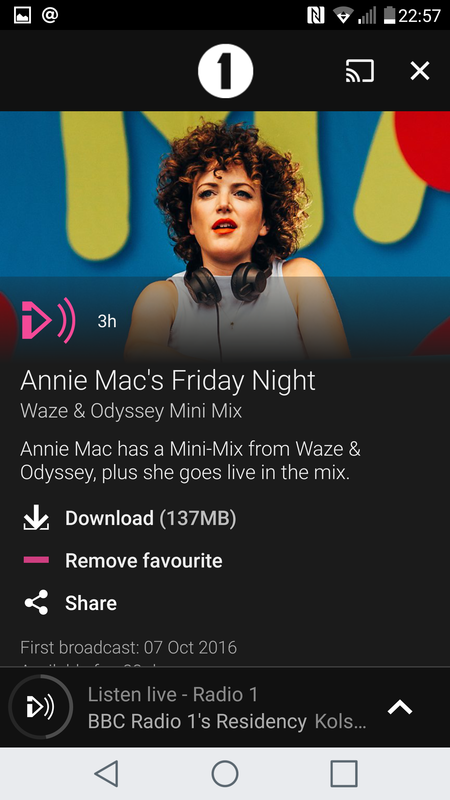 As an example, I am a big fan of Annie Mac’s Friday Night. I also enjoy Monki, but she’s on Radio 1Xtra, which I can’t get on my FM car radio (it’s a DAB station). So I download these ahead of time and then listen to them whenever I want. 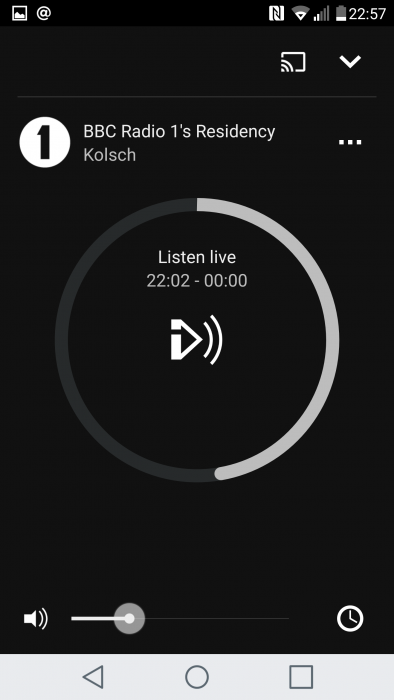 If you’ve got a decent data package you can listen to the shows directly over your mobile data, but do keep an eye on the amount of data used on your package details. 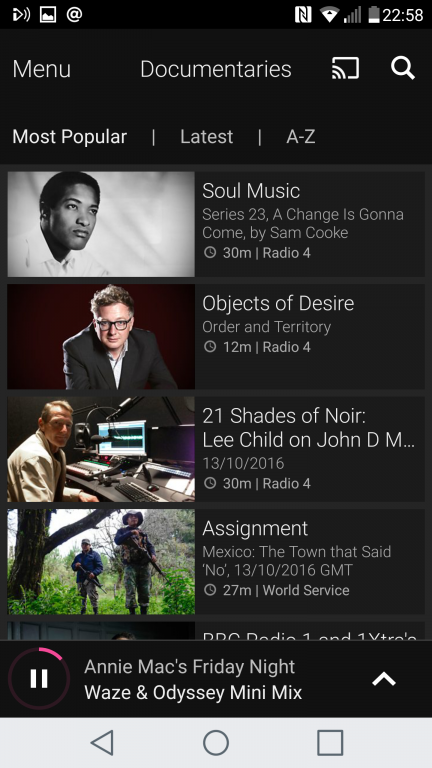 This being the BBC there are absolutely no adverts within the app. 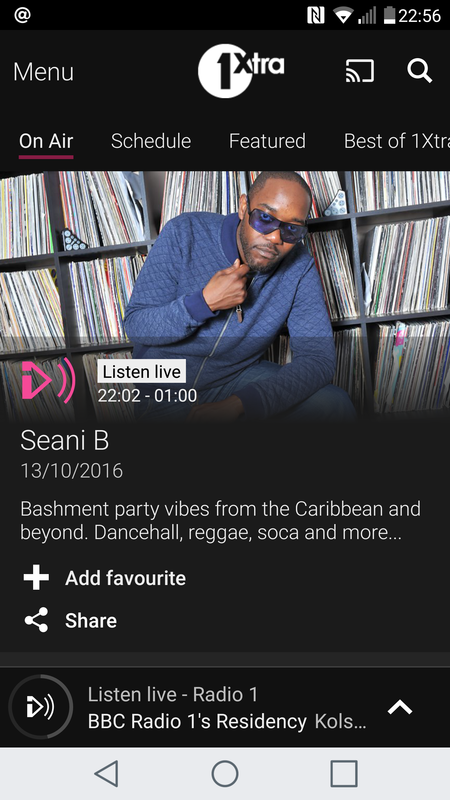 Also, as I found recently in America, you can listen to BBC Radio in other countries too. Again, this is without any advertisements whatsoever. It’s all paid for thanks to the licence fee. You can play the music through normal headphones, Bluetooth headphones, Bluetooth speakers and via Chromecast. The sound is crystal clear and you can skip to content very easily thanks for that jog wheel system. All in all, a fantastic app. Charging all your iPhone and iPads .. tidily.